Susan Delyea - "One month of yoga gave me a second chance." 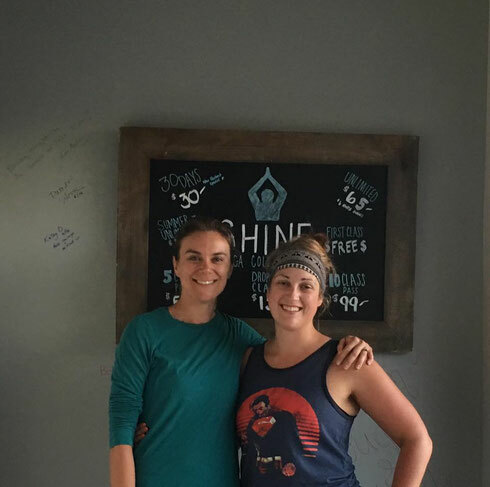 Katey & Susan both completed Shine's 30 Day Challenge March 2016! Through sports, running, and dancing, and everyday movement, I have treated my body as if it is nothing more than a machine that didn’t matter as long as it kept moving. By the age of 24, I realized that I was physically at the worst place in my life. I reached obesity at 250 pounds, I had early signs of diabetes and pain was a constant friend. I was depressed, and I hated my body. Why wouldn’t live up to what I expected of it? At 26, I was done. My body was done. I could no longer run. I had an ankle with previously torn ligaments, a groin tendon tear, sciatic pain, and a busted knee. I even dropped 50 pounds, but my body couldn’t do anymore without putting me in the hospital. I started recognizing all the hateful things I was saying to myself about my body and mind, and I knew I needed a change. 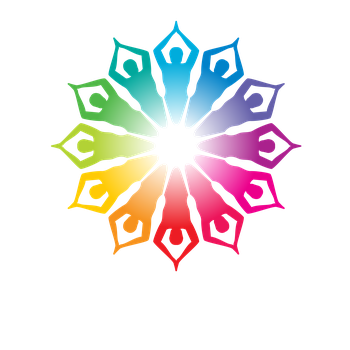 That was the day I called Shine Yoga Collective. I had a lot of anxiety over that call. In fact, that was one of the hardest calls I've ever made. Julie Hart, the owner, answered my call and in less then 10 minutes I started feeling as if I had found hope for my journey to recovery. I signed up for the 30 Days Challenge, and even though I felt anxious of going to class, Julie said she couldn’t wait to meet me, and I felt like I had found a place that would welcome me. The first week was difficult as everyday I faced a mirror, and in every pose I saw what my body looked like, and that was hard. I couldn’t do many of the poses, and I was sore. Yet, I started listening to the words of every Yoga Instructor. The instructors kept asking us to thank our bodies for the pose, for the breath, for the love we have for our selves in making it to and through class. At the end of the first week, I realized they were practicing what I wanted to achieve, self-love. Every instructor imparts a different message, and yet it’s the same. From one instructor I learned to open my heart to my body, accepting my body with all its limitations and strength. Another instructor taught me to connect to every muscle in my body and to let go. One taught me how to connect my spirit to my mind and heart. Slowly, I started changing from looking in the mirror to disparage myself, to looking at myself and thanking my body for all the effort it made in my practice. As I started listening to and connecting with my body for the first time ever, I started practicing poses I wouldn’t have been able to do, even as a little girl. I could touch my toes, bend in half, and stand on one foot. Pain that had been my friend for so long started to release and leave my body. I gave myself completely to yoga for a month, going everyday, and sometimes twice a day. It was the first time I was appreciating myself. Physically, the swelling in my body decreased, I slimmed down, and I became stronger, not just physically but emotionally too. I was able to start running, dancing, and lift again. I love the changes, but I find I don’t concentrate on the physical in yoga class anymore. I concentrate on being present in the moment. Within the first month at Shine Yoga Collective, I learned a few lessons that I never accepted before as truth. First, it is okay to make myself a priority. Second, my body is amazing and part of me, not a machine, but a part of my whole-self. Finally, I learned that this is not an exercise to improve my image, but a practice of self-care, self-love, and discovery of body, spirit, and mind. After years of punishing my body, it took only one month to completely change my view of my body and my life, and I will continue to practice and learn about myself through yoga. One month of yoga gave me a second chance with my body and heart. I went from a broken body at the early age of 26, to a recovering body and mind. I love your Light and how you Thrive!! I'm so happy to be present with you, Suzy! I simply want to say I am just beginner to weblog and absolutely liked you’re blog. Very likely I’m planning to bookmark your blog . You really come with amazing well written articles. Thanks a lot for revealing your web-site. As a kid, I keen the finger at in my estimation for his nonappearance. I reached the willpower that I didn’t earn of men's love. Maybe incredible in my own scrupulous conduct had made Dave remain down. perchance this be the relationship I shouldn't have left. I was valuing for myself. Physically, the bulge in my body diminish, I thinned down, and I ended up noticeably more grounded. I provided myself totally for a month, going every day, and occasionally twice a day. It was the first time I was appreciating myself. I had a feeling that I had discovered a place that would welcome me. However, I began tuning in to the expressions of each Yoga Instructor. One showed me how to interface my soul to my brain and heart. I essentially need to state I am only novice to weblog and completely loved you're blog. Likely I'm intending to bookmark your blog . You truly accompany stunning elegantly composed articles. Much appreciated for uncovering your site.